CELEBRITY CHEFS and tasty treats are expected as new food festivals are announced. 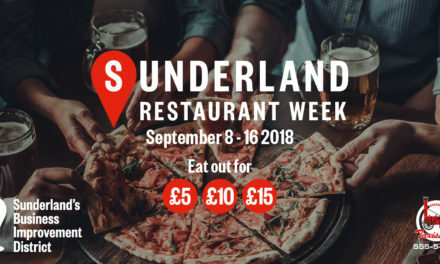 Two new events are sure to get mouths watering this year, as food and drink takes centre stage in Sunderland. He’ll be joined by Katy Ashworth, from CBeebies and Dean Edwards, TV chef and author. In addition to the city centre event, Sunderland City Council is also bringing a new food festival to Houghton. ‘Scrantastic’ family food festival will take place on the Broadway and in Rectory Park on 17-19 May, featuring continental markets, speciality food, family entertainment and more celebrity chefs. Katy Ashworth will be appearing, and she will be joined by local celebrity, TV chef and MasterChef finalist, Stacie Stewart and Great British Bake Off finalist, food reporter and cookery teacher Steven Carter-Bailey. Victoria French, Head of Events for Sunderland City Council said: “We had a huge year of events in 2018 and did a lot of research on what other events people would like to see in Sunderland. Food festivals featured highly, so to be able to bring two such events to the city in the space of a couple of months is fantastic. RR Events, who specialise in delivering large outdoor events in the UK, including many food festivals, are running both festivals. Full details of the programme and the stalls will be announced closer to the events.